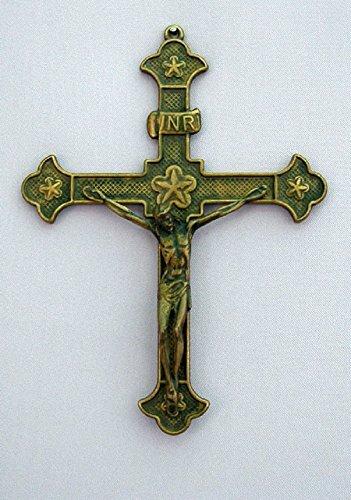 Crucifix in antiqued brass, 8.75inches. Made in Italy. RELIGIOUS STATUE - FIGURE, An Our Lady of Guadalupe wood cross plaque, 4.5x5inches. Made in Italy.